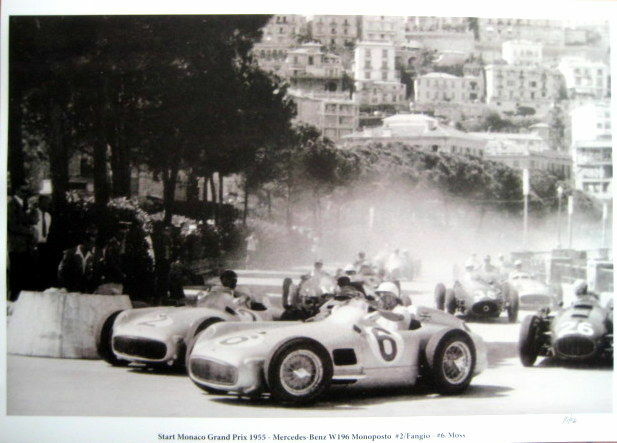 The 1955 Monaco Grand Prix was a Formula One motor race held at Monaco on May 22, 1955. 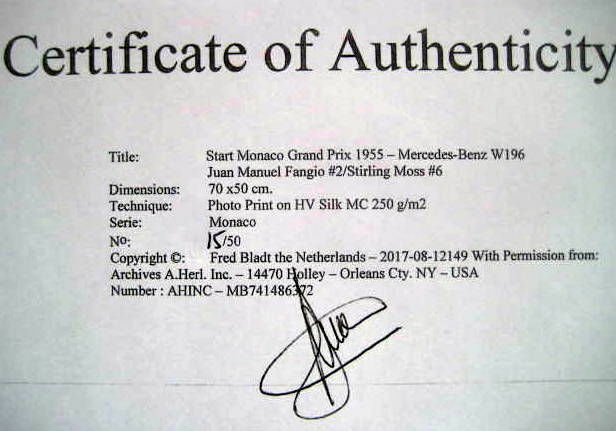 It was race 2 of 7 in the 1955 World Championship of Drivers and was given an honorary name, Grand Prix d'Europe. 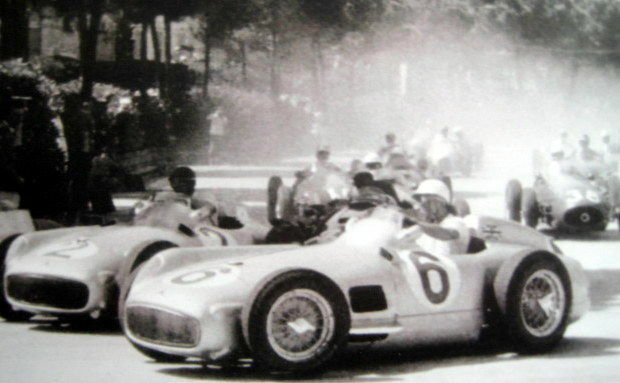 Stirling Moss had been signed by Mercedes for the new season and Maserati had replaced him with Jean Behra. 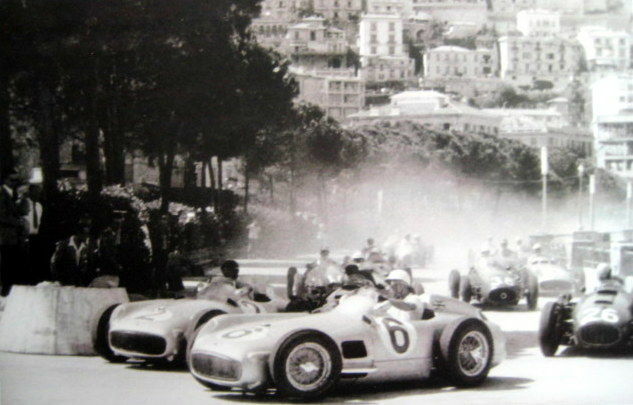 The Silver Arrows of Fangio and Moss dominated, running 1-2 until half distance, trailed by Ascari and Castellotti. At the halfway mark, Fangio retired with transmission trouble,giving the lead to Moss. Almost a lap ahead, a seemingly sure win for Moss was ended on Lap 80 when his Benz's engine blew.